If you are running out of fingers; use your feet! These USB footswitches can be programmed to emulate your choice of keyboard key-presses for easy control of your PC during, for example, musical performances. A new version of these Foot switches is due April 2019. Scythe's USB Foot Switches can be used as an additional input device for the computer. They also provide a more comfortable and convenient way to work. 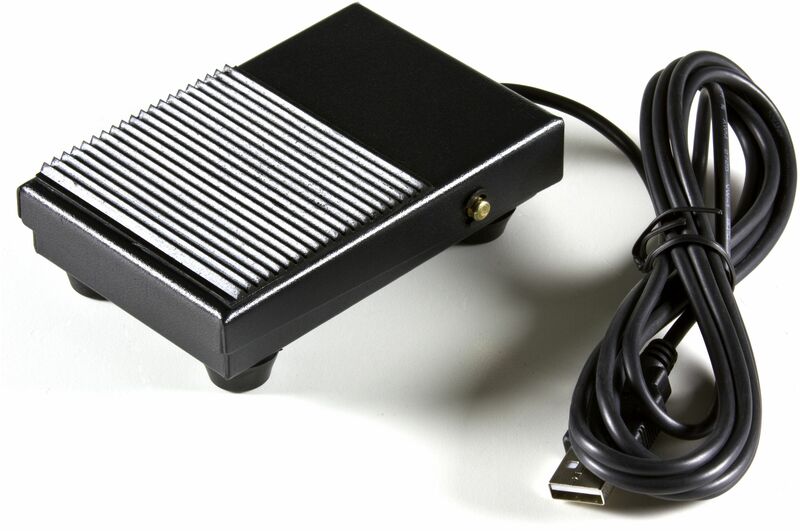 The USB Foot Switches are available in a single, double or triple version and can be freely assigned any key by the supplied software. No drivers are required, just plug in and go. 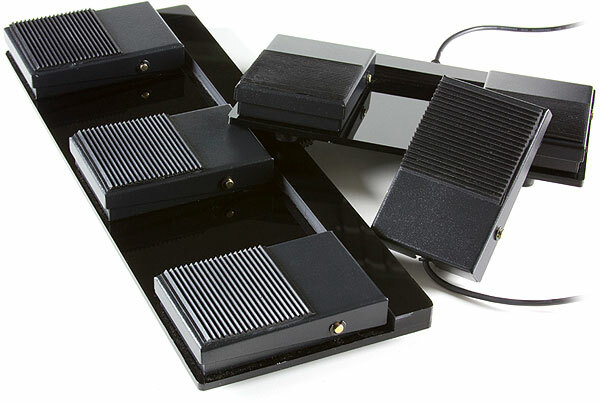 They also work with Apple Mac computers although you will need access to a PC or the PC 'Wine' emulator running on a Mac in order to perform any initial configuration of the footswitch, i.e. to tell it which key(s) to simulate when pressed. Once programmed, the PC environment is no longer needed because the footswitch will present itself to the Mac as being a generic USB keyboard. Please Note: While the actual switches used in these products are silent, the pedals themselves are not so some mechanical noise will be heard as the foot switch is depressed and released. 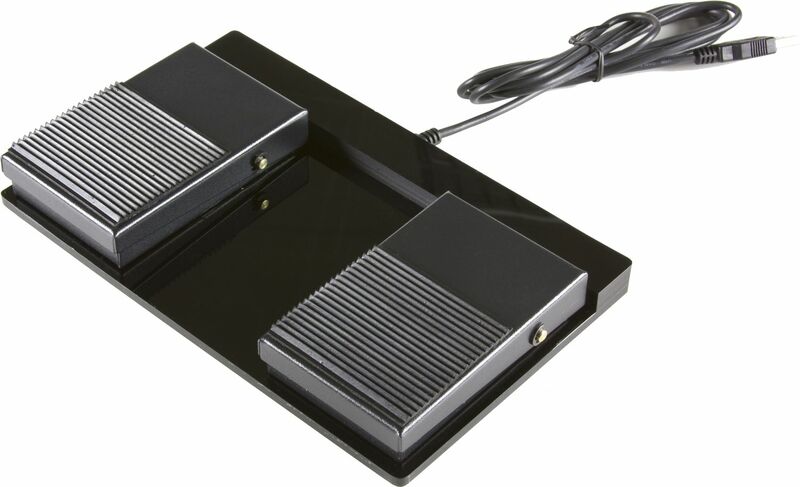 These are the newer Mk.II versions of the foot switches that we are selling - they offer quieter operation due to the friction noise being reduced by rubber, and shorter pedal travel distance for better responsiveness. The unit itself is very solid and very good at its intended purpose. However, the official software is not good. In fact it refused to even find the device on my Windows 8.1 machine. 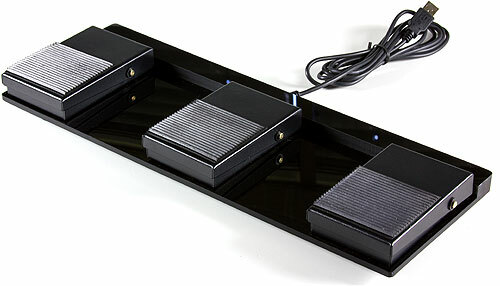 Without running any configuration software the three pedals are simply mapped to the keys, "1", "2" and "3". If you wish to change these, you will need to run some software to program the unit. The software does not need to be run otherwise. Given the official software did not run on my machine, there are alternative third-party applications that can setup the unit. These are actually simpler/better than the official one. It's a shame none of them seem to offer profiles, so you can easily flick between presets to quickly allocated different key depressions to the three pedals.